If the garage door you own is from high quality, and it was installed by a professional installer, you probably don’t need to hire a technician to fix the door often. If you have been maintaining and lubricating the door on time, the door should work perfectly. But once every few years something may break, and you may need to use the services of a garage door technician. There are many things that separate a good garage door technician from an amateur, a handyman, or anyone who think that fixing a garage door is something simple, and there is no need to use the services of a pro for the repair. It can be garage door technician in Washington DC, or garage door technician in Virginia, the qualities that makes a good garage door technician are many, and we will list most of them in our post. If we were asked what the first thing is that separate the technicians of Three States Garage Doors from other companies, we think that the first thing that we will answer will be: They love what they do. Yes, that is our answer, before anything else, you must love what you do. Once you love helping people who need your services, whether it is a broken overhead door or a broken roll up gate, you are on the right way to success, and to build a reputation as a reliable company. 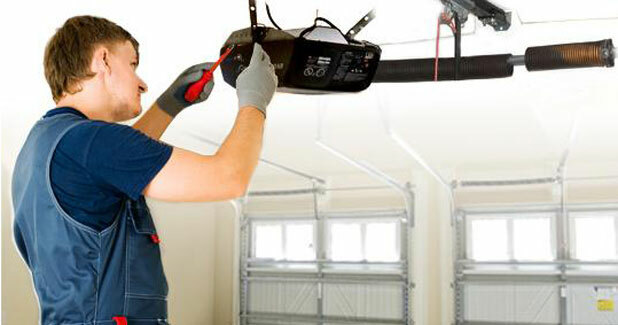 Every good technician, whether he repair overhead doors in Manhattan Fairfax Virginia, or roll up gates in MD, will never leave a site before he made sure that the door or the gate he just repaired is safe for use, that the garage door is working smoothly, and that the customer is 100% happy with the service. 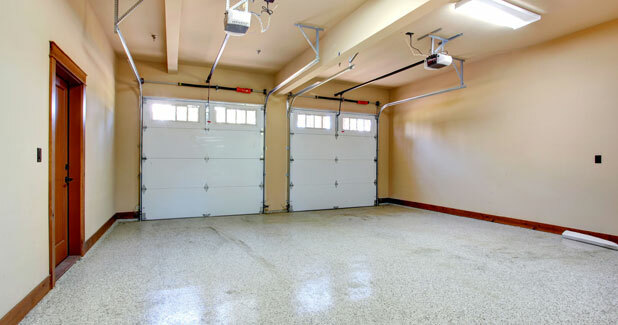 During more than 20 years of repairing and installing overhead doors in Fairfax Virginia, we learned that there are many different garages, different garage doors, and different customers. Some of the customers insist to repair the current garage door, no matter what the cost will be, and some will prefer to replace the door if the repair will cost 50% of the cost of a new garage door. A good garage door technician should understand that there are different customers with different requirements, and he should be able to provide all of them with the best service. After 20 years of servicing garage doors in Fairfax Virginia, the technicians of Three States Garage Doors understand that the customer is always right, and the technician must provide the customer with the best service. But the customer may sometime require something that can’t or shouldn’t be done, like that will not be safe enough, and this is part of the garage door technician job: To explain to the customer what the problem is, how to fix it (In case it is repairable), and to perform the repair only if it will be safe to repair the door. A good technician must confirm that the customer understood what the technician did, why he decided to do that, and the customer must know exactly what he is paying for. Ask each one of our customers in Westchester, and he will tell you that he know why he paid a certain amount of money, and what he paid for. By doing so, we make sure that no customer will remain with questions in his mind about the repair or the costs. Some people will prefer to replace the door, and some will prefer to repair it. Like we always say, different people want different thing. We once needed to fix a broken garage door in Virginia, when we arrived, we saw that the door was in bad condition, and fixing it would cost as much as replacing it with anew door. We informed the home owner about that, but he insisted that he want to keep the door, and he want to fix it. We told him that it will cost as much as a new door, but he insisted. So we did fix it for him. A technician need to know that he is a service provider, and if customer want to pay for repair, the tech should perform, as long as doing so doesn’t violate any safety guideline. A good technician should repair the problem, and the cause to the problems. It can be a garage door technician in Queens Fairfax Virginia, or a garage door technician Los Angeles, a technician need to be a pro. Sometime the cause for the problem is simply lack of maintenance, and in that case just a quick explanation to the customer about how important garage door maintenance is, will be enough to prevent the problem from happening again. For example: If the garage opener broke and it is not working anymore since the garage door itself is not working properly, and the garage door technician just replace the opener but ignored the problem with the door, the new opener will also break soon. As every garage door technician knows, what makes the door going up so easily, and what make the garage door stay up and not fall to the ground are the spring system and the doors mechanism. And when there is something wrong with that, it affect the way the opener works. Three States Garage Doors instruct all our garage doors technicians to follow a simple rule: If there is something wrong with the door, and the customer choose not to fix that problem, do not complete the service, and leave the location. When a technician from Three States Garage Doors leave a job, he must leave behind overhead door that operate perfectly! There is no half repair, or partly repair. We at Three States Garage Doors do things the right way, or we choose not to do the job. Before we train our garage door technicians, we tell them one simple thing - but that should never be ignored: No garage door service, whether it is new garage door installation in Fairfax Virginia, or Roll up door repairs worth an injury. Simple as that. And at the same time, you should never even try and repair garage door if you are not completely sure that when you will complete the repair the door will be 100% safe to operate. We have responsibility, we have warranty, insurance, and we put our name on every overhead door in Fairfax Virginia that we service. So we will never repair or attempt to repair a broken garage door or roll up gate unless we know that when we will complete the repair, the door will work. 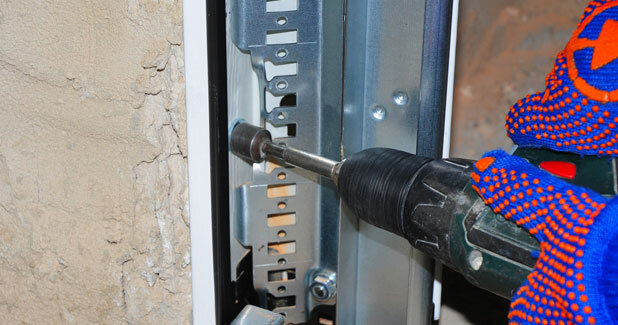 There is good article about garage door safety, written by DC Gates Experts, which get into the risks of using broken garage door, and why it is important to use a qualified tech for the repair or the installation. We train our techs so they will be able to deal with both residential and commercial overhead doors in Fairfax Virginia. We believe that every professional garage door repairman, whether he is a roll up door repairman in Queens, or garage door repairman in Alexandria VA, he should be able to deal with both residential and commercial garage doors if he consider himself a real pro. The way commercial and residential overhead doors operate is almost the same, just the door and the parts, and of course the tools needed to fix the doors or to install them are heavy duty parts and tools. Let’s just take the fact that a repairman that want to be able to repair the heavy duty commercial overhead doors, or a commercial rolling gate in Fairfax Virginia need to have a tall ladder, that will allow the repairman to be able to fix the tall commercial overhead door that can be found in Fairfax Virginia. The commercial overhead doors are definitely not the place for do-it-yourself. They are extremely dangerous when they break, and if someone who isn’t qualified will try to fix the door, it can end with injuries. Three States Garage Doors offer emergency garage door repair Fairfax Virginia, and we can fix any broken garage door including commercial and industrial overhead doors and gates today. Every garage door repairman must be aware of the latest changes, developments, and garage door solutions in the industry. So when he offer a customer a garage door solution, he give him the best option and the latest developments, so the customer will have the ability to choose what will be the best solution for him. Three States Garage Doors of Fairfax Virginia make sure that our technician will be up to date with the tools, the parts and the knowledge. We train them to offer the customers the newest technology on the garage door industry, so the customer will know that he get the newest product, and he can choose what will be the best solution for him. With the quick developments in the industry, we do our best to keep all our technicians knowledgeable about the new inventions in the industry. 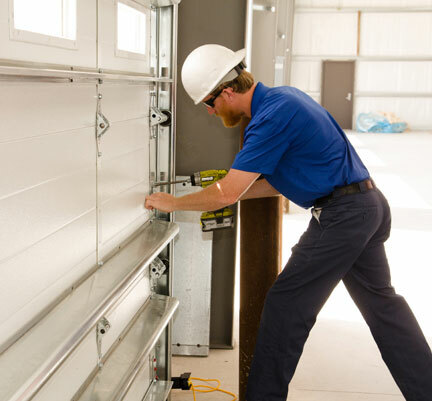 A professional garage door technician should be ready for any call, residential opener repair, or off tracks commercial door, he should be ready to help and to provide a solution. In order to do so, the repairman must go over the tools and the parts he has in the track, and make sure that there is nothing missing. He should have in his track parts that will be enough to service 90% of the types of overhead doors in Fairfax Virginia, and he should be able to service both commercial and residential garage doors. Sometime the time become important. So if the technician could fix the broken garage door on the spot, but did not do it because he was missing a part or a tool, this is unprofessional. We do not mean that garage door tech should carry parts for all overhead doors in Fairfax Virginia, but we do mean that if he doesn’t carry a ladder tall enough, he is not ready to service any type of overhead door in Fairfax Virginia. Our technicians are ready for any kind of services. It can be a Liftmaster opener installation, or a storefront gate repair, whatever the problem, they should be able to fix it. Not all problems can be repaired on the spot, but sometime a temporary solution can also be a great help. If you own a garage door or a rolling gate, you probably know that there isn’t good time for overhead door to get stuck. It can happen early in the morning when you want to get your car out of the garage, or late at night when you are trying to close your store but the roll up gate refuse to close the store. 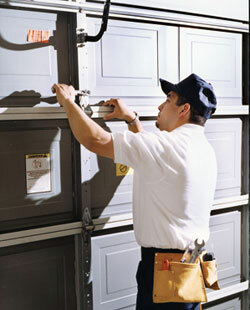 We at Three States Garage Doors know that, so we have at least one technician ready for emergency calls. A good technician should be able to offer emergency garage door repairs, and to be able to help people who need the service right now. You probably know that the weather conditions in east coast can get tough at times, and the option of leaving the garage opener the whole night, or to leave your business open until garage door technician will come to fix the gate is impossible. A technician should be available to take emergency service calls, any time, any day, and in any weather. It can be a broken garage door repairs in Fairfax, or overhead door repair in Maryland, Three States Garage Doors are ready to help, any time, any day. Shout I hire a garage door technician to repair the broken door, or should I do it myself? If you have been wondering if you better use a professional technician to fix your garage door, or you better fix the door by Fix-It-Yourself, there are few things you need to know, and that can prevent you from wasting time and money, and can even stop you from getting hurt while trying to fix a garage door by FIY instead of using a professional tech. Things in real life are different than how they seem online, and the easiness of installing new garage opener as you watched on Youtube may turn to something complicated when you try to install the new garage opener yourself. We are not saying that there aren’t some garage door repairs in Westchester that can easily be performed by DIY, but we say that sometime it is better to hire a qualified garage door technician for the job. Why Not To try Fix a broken garage door Yourself? Garage repairs require specific parts: Garage door tech carry in his track all the parts required to repair a broken garage door in Fairfax Virginia. Some parts are universal, but some parts are unique and even custom made for the door, like garage torsion spring, and just locating the torsion spring for your garage door can be something impossible. Just locating the part for the door may be something that can’t be performed by DIY. Garage repairs require specific tools: Garage door technician carry with him tools required to perform garage door repairs in Fairfax Virginia. Just pair of torsion sticks, or tall ladder are tools that may be required for some garage door repairs, and that you will have to purchase in order to repair your broken garage door. A qualified garage door technician carry all the parts needed to repair a broken garage door, whether it is a broken spring, or a new garage door installation. Emergency repair service: If you worry that you may have to wait few days for a garage door company in Fairfax Virginia to come and fix your door, think again. Three States Garage Doors offer local garage door service in Fairfax Virginia and New Jersey, and we offer to do it today! This is not a mistake, we offer same day service in Fairfax Virginia Fairfax Virginia. All the technicians of Three States Garage Doors of Fairfax Virginia are qualified and insured, trained, and can deal with any garage door problem, commercial or residential, repair or installation. There are many types and kinds of overhead doors and roll up gates in Fairfax Virginia, and we can deal with all of them. Because when you are a pro, you do not need to worry what the problem is, since you know you can solve it. You may be in need for emergency garage door repair in Washington DC, or garage door installation in Alexandria VA, we can help. We offer emergency garage door repairs in Fairfax Virginia, New Jersey and the area, and our technicians are ready for any garage door project, simple maintenance, or complicated installation, we will be there for you. What important is to avoid trying to force the door or the gate to work, and call local garage door repairman, who can deal with a broken garage door. Trying to force a door or a gate to open or close can completely break them, and in case it will happen, you will need a deeper repair, or completely replace the door; But again, the important part is that you can easily get injured, and this is something that anyone will prefer to avoid. So if there is something wrong with your garage door or your roll up gate, hire a qualified technician, and get your broken garage door working again today.